You are here: Home / St. Petersburg / Have You Heard of Healthy St. Pete? 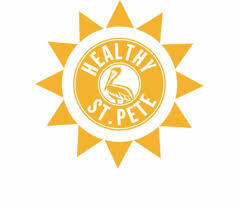 Have You Heard of Healthy St. Pete? Healthy St. Pete initiative was started by Deputy Mayor Dr. Kanika Tomalin with the hopes of of creating a healthier community. Healthy St. Pete is partnership-based planning and innovative projects to make health a shared value and build a culture of health in our city. https://www.luxuryandbeachrealty.com/wp-content/uploads/2018/09/download.jpg 211 239 admin https://luxuryandbeachrealty.com/wp-content/uploads/2015/05/logo.png admin2018-09-20 19:26:262018-09-20 19:26:26Have You Heard of Healthy St. Pete?